Are you considering studying for and obtaining your Project Management Professional (PMP)® Certification? Are you wondering what study tools and methods others have used successfully? Are you interested in reading about the exam experiences of those who have recently passed the PMP® Exam? Then there is a forum you should check out on The PM PrepCast website. All of the posts are PMP exam lessons learned and PMP exam tips from those who have recently become Project Management Professionals and who probably started with the same questions and concerns that you have. Let’s take a look at one example from this forum. It was written by Amar Roy, PMP shortly after he obtained his PMP® Certification and contains the following insights into how the exam went for him. Decide on a timeline for when you want to sit for the exam, and based on that, plan your preparation. As soon as you have your 35 contact hours, register to take the PMP® Exam. This will help you to accelerate your planning process. 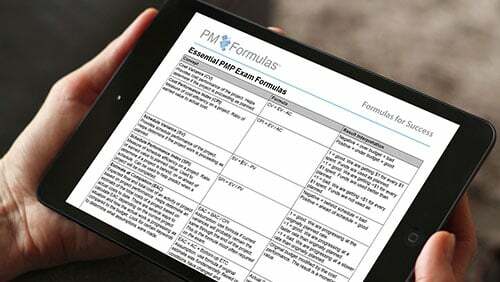 Become a PMI member before registering for the PMP Exam; this will save you some money on study materials. The PMP® Exam application process is a timely affair. You will need to provide a description of the project(s) you were involved with and your role across each of the process groups. Make sure you have a detailed project-experience history before you start; this will save you a lot of time! Read the most current version of The PMBOK® Guide from cover to cover twice; once early in the study process and again a couple of weeks before your exam date. The first reading will help to determine areas that need more focus, and the reading before the exam will reinforce concepts. Additional suggested readings are the “The PMP Exam: How to Pass on Your First Try, Fourth Edition” by Andy Crowe, PMP,PgMP and the “PMP Exam Prep, Sixth Edition: Rita's Course in a Book for Passing the PMP Exam” by Rita Mulcahy. Both of these texts have chapter tests included that you can use to gauge your PMP knowledge. Take at least 4-5 full length practice exams and have a goal in mind such as obtaining at least a 75% on each exam.Don’t get discouraged if you don’t reach your goal for the first exam. It will give you a good understanding of what you still need to learn, and you should get better with each exam. Sitting for a four-hour exam can be rough. Build in breaks such as 5 minutes after the first 75 questions, 5 more minutes after the next 75 questions, and 10 minutes after the last 50 questions; then go back and review and revise your answers for the remainder of the time. If you practice this method, it will feel natural during the exam. Make note of new concepts you come across in the practice exams; not all questions on the PMP Exam come from the PMBOK® Guide. Analyze the results of your practice exams to identify where you need to focus your study efforts. Make sure you know the difference between Quality Assurance and Quality Control. There are a good number of questions pertaining to Procurement, Integration, Risk, and Scope Management. Make sure you clearly understand Human Resource, Communication, Quality, Cost, and Time Management. Understand the concept of Professional Responsibility. Understand the concepts around earned value, if you practice the calculations a few times, you will be ready. Make sure you understand other formulas such as expected monetary value, three-point estimate, PERT, network-related calculations, and communication channels. Know where your exam site is. Stop by the site a week before the test. This will reduce your stress on exam day a lot! Make sure you know what identification you need such as passport or driver’s license to take the PMP Exam. Ensure you get a good night’s sleep. Take a bottle of water and snacks with you. 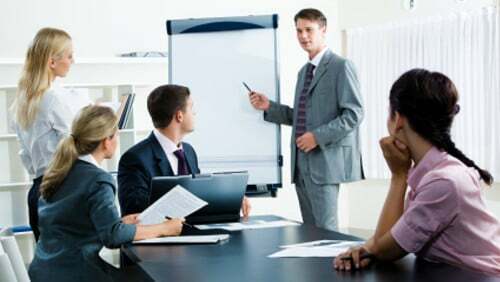 These are just a few examples of the PMP Exam related lessons learned and tips offered by those who have recently been in your shoes.You can access these lessons learned tips and many more in The PMPrepCast forum at http://www.pm-prepcast.com/ll. About our Guest author: Amar Roy, PMP has more than 12 years of experience in IT project management,consulting and solution definition.His primary work focuses on providing IT solution for Fortune 500 manufacturing clients. He has managedmultiple projects in Supply Chain Management, Sales Analytic, web data mining projects. Besidesproject management his primary interests involves Big Data Analytic and Statistical analytic. He holds a Bachelor of Engineering degree from a reputed University in India. He is presently workingas a Senior Project Manager at Infosys Ltd.